Why are residential real estate home prices still rising? It is a simple answer. 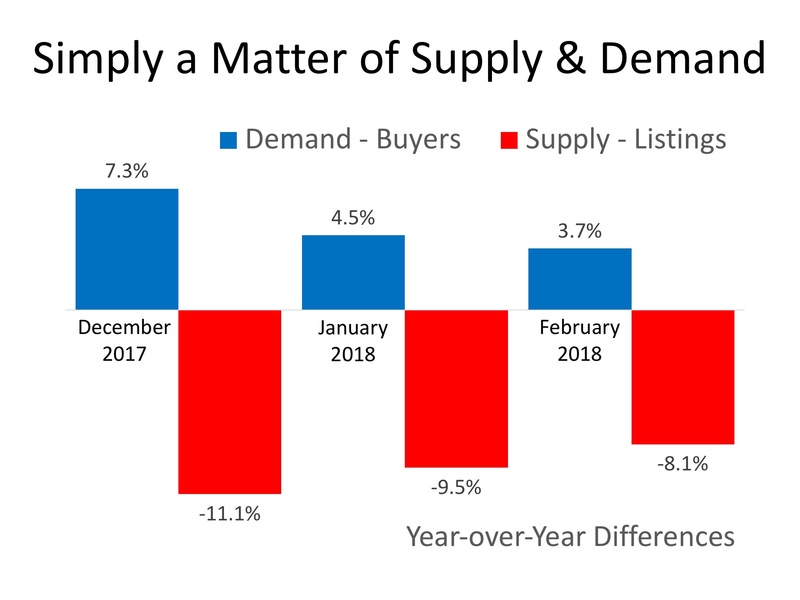 In each of the last three months, demand (buyer traffic) has increased as compared to last year while supply (the number of available listings) has decreased. If this situation persists, home values will continue to increase. The reason home prices are still rising is that there are many purchasers looking to buy, but very few homeowners ready to sell. This imbalance is the reason prices will remain on the uptick. Our local market is definitely competitive and growing. Staying in tune and in touch with our local market is best done with a professional who monitors the housing and trends daily. And a dedicated magazine resource, local, recent data and analyses, doesn’t hurt either. Both together give you the needed info to make your best real estate decisions for yourself and your family. Download the latest Metropolist Magazine, stat! Get in touch with your trusted Metropolist broker and go through the magazine together with a focus on your real estate goals for yourself and your family.